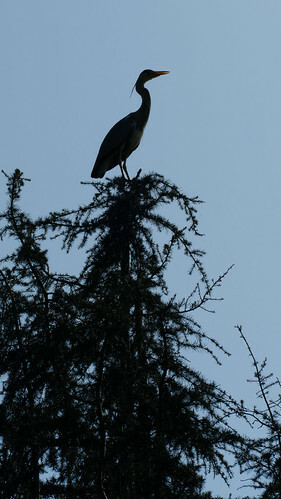 I recently visited Pendeford Mill LNR to look for any signs of springtime woodland flowers and see how the heronry was. As I got to the largest pool, where the heronry is high in the trees on the island, I saw what seemed in the distance to be very pale herons. 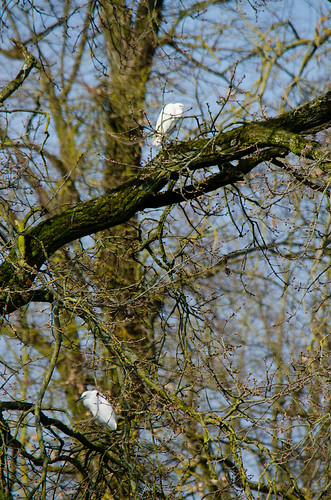 When I got closer, it became clear they were a couple of little egrets. All three egret species seem to be getting to be regulars at sites in the west midlands. On a return visit a few days later there was no sign of these birds. 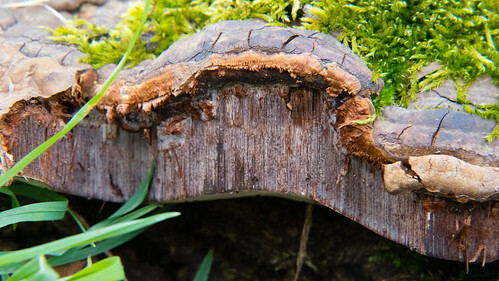 Horse’s hoof fungus growing on a fallen tree trunk in Bantock Park. 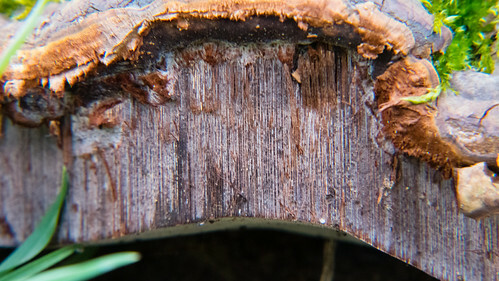 Someone had snapped off the rim of the bracket fungus, revealing the interior, with tubes leading to the pores where the spores are dispersed. 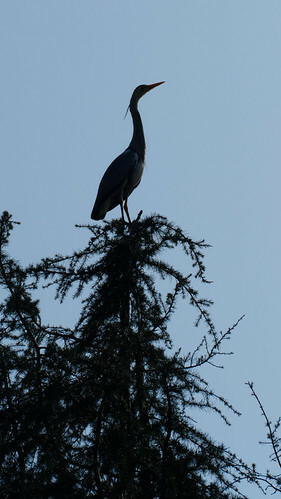 High on one of the trees at the back of Compton Lock, a heron stands watchful. Bluebells seemed to take a long time this year for the flowers emerging to being fully open. 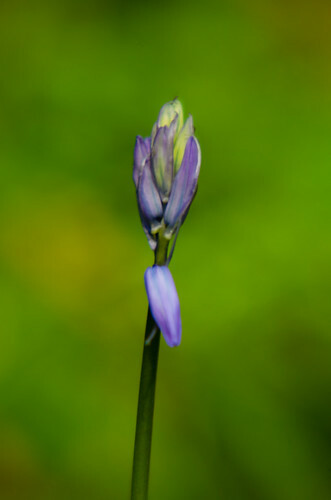 These pictures were taken on the first of the month, by the canal and (the only shot with a fully-open flower) in the woodland at the Pendeford Mill Reserve. 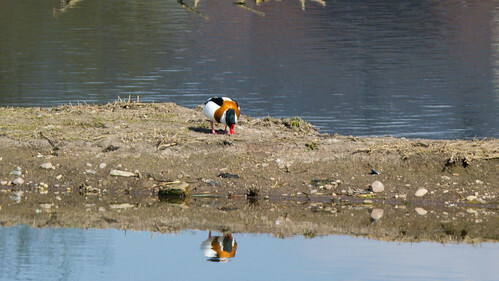 Shelduck on a narrow island in the large lake at Doxey Marshed, reflected in the calmer water in the lee of the island. 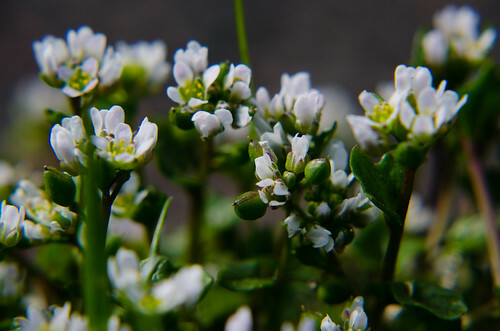 Scurvy grass seen in close-up. 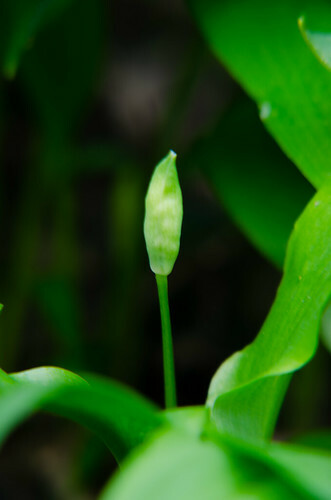 The flowers are tiny – the plants are perhaps an inch high. Look for them right by the side of main roads, no more than an inch or two from the tarmac. The plants are halophiles, growing in environments high in salt. They have spread in Britiain in the last fifty or sixty years, living in the zone splashed by the run-off from the winter gritting of roads. Their spead has also been aided by the draughts from passing traffic. Misty late March morning. The resident swans all on the same small part of West Park’s boating lake, facing the bandstand. 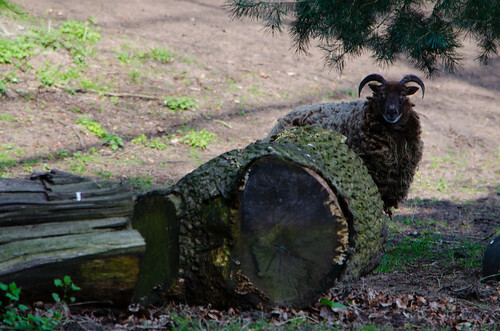 At least one pair have made their nest on this shore of the island. Perhaps that’s why some of them seem to spend all their time swimming round in the threat posture, wings raised to make themselves look larger. Pictures taken the same time as the footage here. Aubretia matting a section of the wall at Castle Walk, Bridgnorth. 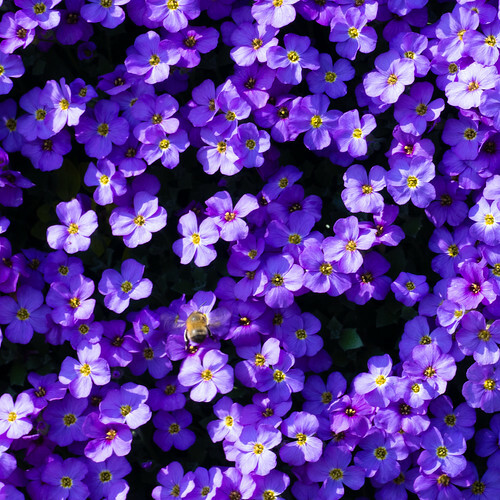 Many bees were attracted to the flowers on a warm spring morning – one sneaked into a picture. Brief and rather shaky footage of the Wildlife Trust reserve at Doxey Marshes just outside Stafford city centre. Along with several duck species, there are glimpses of two of the three egret species reported on the site in recent times – a little egret and a great white egret. 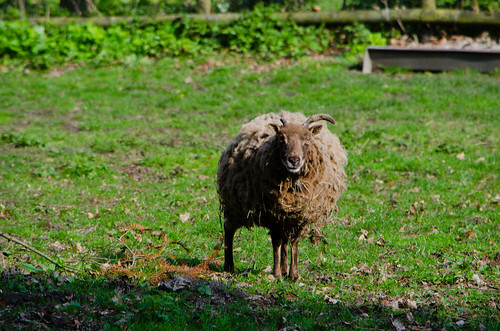 The sheep at Pendeford Mill seemed curious about what I was doing, one strolling in my direction without looking expectant. 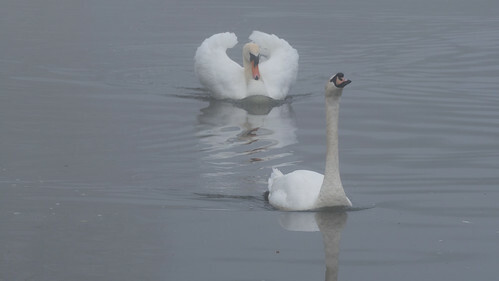 Swans on West Park’s boating lake on a misty late March morning. 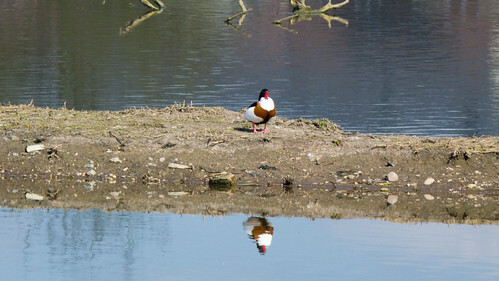 There is a brief appearance from a pair of mallards, by an egg on the lakeside path. The egg was too small to have been a duck’s. More likely one of the numerous pigeons was responsible. 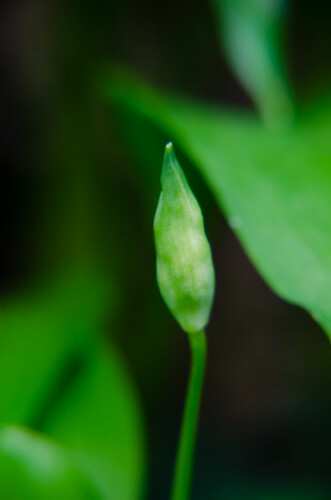 These flower buds were just about to begin opening, growing in the most favoured spot in a patch of wild garlic near Aldersely Junction.